Our Five Volcanoes Boutique Hotel in Musanze (Ruhengeri) located on the road going to Kinigi is the perfect starting point to go for different activities that the Volcanoes National Park is offering but also gives you lot of opportunities to rest and to enjoy the relaxing atmosphere of our lodge. 11 bedrooms (double/twin), a Family Suite, a VIP cottage, a restaurant, a pool, and a beautiful garden are awaiting your visit and our staff is looking forward to make your stay a pleasant one. 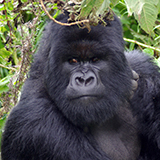 Enjoy one unforgettable hour with the Mountain Gorillas and a great hike through the forest. 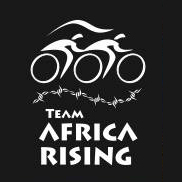 Rent a bike and make a tour with a member of the Africa Rising Cycling Team. 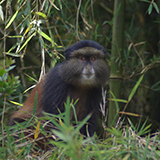 Have fun watching the Golden Monkeys jumping and climbing through the bamboo forest. 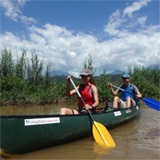 See the Rwandan countryside while gently floating through the thousand hills.